A few weeks ago we lost the elder of the “Haj-Amine-Zarb” clan. 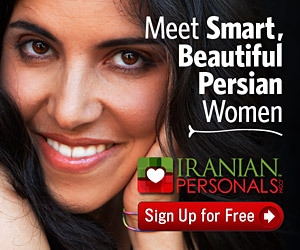 This I call the last of the survivors of the gilded age of Iran. Asghar Mahdavi Dare-Amineh-Zarb was 89 when he passed away peacefully at his childhood home. Dr. Mahdavi was a retired professor of economics at the Tehran University. He had received his Bachelors in economics in Tehran and had traveled to France to get his Masters and PhD. During his many decades of tenure at the University he donated his entire salary to the restoration and upkeep of the University library. Dr. Mahdavi was in love with books, so much so, that not only his pay went to their upkeep, but he had Iran&apos;s largest private collection of old manuscripts and handwritten books in existence. Only the Tehran University had a collection comparable to his. His entire life was spent on collecting, studying, translating these rare historical objects. The books in his personal library numbered in the thousands, which by his virtue of the love of them had willed to be donated to the Tehran University Library. Dr. Mahdavi was also the author of several books. His prowess with economic concepts was strong and it showed in his scriptures and articles he had authored while he was still actively teaching at the University. At the beginning of this article I mentioned that Dr. Mahdavi was the last of the survivors of Iran&apos;s gilded age. I say that not to draw a parallel between the gilded age as we know it in America, the last decades of the 19th century and the beginning of the twentieth, although the time frame coincides with Iran&apos;s coming of age, but more so to depict the progression of the Iranian Society until its regression after the revolution. During the same time span, Iran was opening its doors to the technological advancements inthe West. It was during this era, circa 1870s, that a late Haj Mohammad Hassan Haj-Amine-Zarb, had traveled to Paris and brought back with him the latest in the minting techniques. One can say after Cyrus the Great of the Acheamanian Dynasty, when Persia was the first empire to embrace large scale production and distribution of coins and legal tender, Iran had been left behind and had lost the edge it had on this industry, hence why he got his title from Nasser-Edin Shah. Following Haj Hassan his son Haj Hossein Dare-Amineh-Zarb continued in his father&apos;s footsteps and kept the business progressing. He also added a first to the family&apos;s line of business, bringing the first power generation equipment into Iran (this one from Russia), hence making him the first to have introduced generated electricity in the country. The father and son were able to create an empire and an associated wealth that was second to only the ruling family and propelled them into the 1000 family who were controlling the economic and political destiny of Iran. Needless to say the first edifice to have been illuminated was none other than Mozafar-Edin Shah&apos;s palace. The second elder also went on to also construct the first railroad network in the province of Mazandaran. Dr. Mahdavi and his brother Dr. Yahya Mahdavi were able to keep the family tradition alive, not but by creating more wealth, rather by philanthropic and educational endeavors. Their family mansion, which was constructed in the 1860&apos;s and purchased by the elder of the clan, has remained in his family, and was designated by the Tehran City Council as a historical monument. It cannot be demolished or sold to any other than the City. The mansion is probably the last of the remaining homes, which was as grand as the time it was constructed in. Complete with Birooni and Andarooni segments, halls of mirrors, and elaborate modest ornamentation, servants quarters and more. 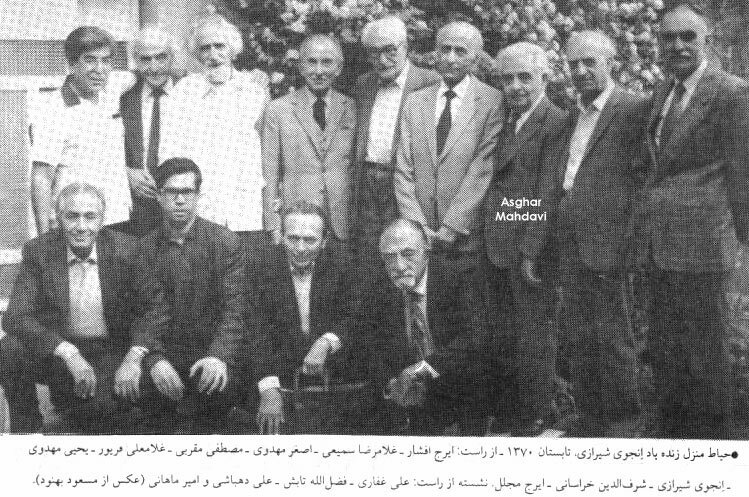 Asghar was also a renowned scholar on matters of Islamic history. He had scribed a book on the life and times of Mohammad; titled, “Seerateh Rasoul Alah”. To those who knew him, his long and fruitful life had been full of overtones with a direct and positive impact on the society. As I have mentioned in several of my articles, Iran is loosing some of its great contributors without any hope of replacing them with an equal in intellect and fervent enthusiasm. I can only hope that the Diaspora can reproduce the replacements for us. In the hopes that the thugs of the Islamic Republic will not plunder the national heritage left to us by Asghar as they have done thousands of others.